The Aberdeen City Council has approved a long-term recycling deal which will bring down the recycling cost. The City Council sanctioned a deal with New York-based Dependable Sanitation Corp. The deal is initially entered for a period of four years. As per the terms of the deal, the recycling cost will be reduced from $2.50 to $2 per residence. The City Council has informed that an additional 10 cents will be collected per customer, thus making the net recycling cost per residence to $2.10. The extra 10 cents collected per customer would be utilized towards printing information pamphlet which will be distributed to customers annually. The Council intends to create greater awareness among communities about recycling benefits. The new rates will be effective June 1st this year, the City Council said. The tie-up with a firm having more than 50 years of experience in recycling, the City Council aims to give a boost to the recycling industry. The goal is to ‘re-energize the city’s recycling efforts’, says the Aberdeen City Manager Lynn Lander. According to statistics, the net recycling declined from 487 tons in 2010 to 435 tons in 2012.There has been a dip in collection of most materials including newspaper, steel cans, aluminum and plastic. 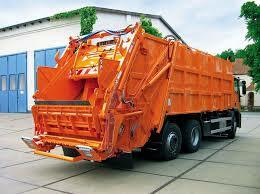 The City Council’s first target is to bring the net recycling in 2013 to the levels witnessed in 2012 viz., 487 tons. The City Council expects that with the $2.10 fee it will be able to run the recycling services in a no- loss no-profit situation.